Kathryn Wills was born in Hughes Springs, Texas on December 31, 1957 to Larry and Christine Hudspeth. She passed away on Friday, March 22, 2019 at the age of 61. Services for Kathryn will be at 2:00 in the afternoon, Thursday March 28, 2019 at The Grubbs-Loyd Chapel in Diana, Texas internment to follow at Ore City Cemetery. Services are under the direction of Grubbs-Loyd Funeral Home in Diana. 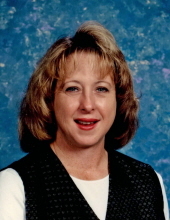 Kathryn worked many years for Ore City ISD as a teacher’s aide, and in the banking industry. She loved spending time with her husband James and her two sons. She is survived by her loving husband James Wills, two sons; Kaleb and Clifton Wills, mother, Christine Hudspeth, sisters; Robbie Nelson and husband Richard, Deanna Sustaire and husband Harry, sister in law Tammy Lorenz and daughter Mandy and numerous nieces, nephews and cousins. She was preceded in death by her father Larry Hudspeth and her grandparents. Visitation will be held Wednesday evening 6:00 to 8:00 PM March 27, 2019 at the Grubbs-Loyd Chapel in Diana. The family would like to thank everyone for the calls and expressions of love and care. To send flowers or a remembrance gift to the family of Kathryn Hudspeth Wills, please visit our Tribute Store. "Email Address" would like to share the life celebration of Kathryn Hudspeth Wills. Click on the "link" to go to share a favorite memory or leave a condolence message for the family.